Modern CNC woodworking with individual flexibility as efficient and simple as possible - the new CNC processing centre profit H500 MT puts industrial use in the centre point of an innovative operating concept. 34 tool positions included in the standard equipment offer a wide range of processing options. The large dimensioned matrix table made from phenolic resin guarantees secure processing of workpieces of any material and size due to optimal vacuum distribution. 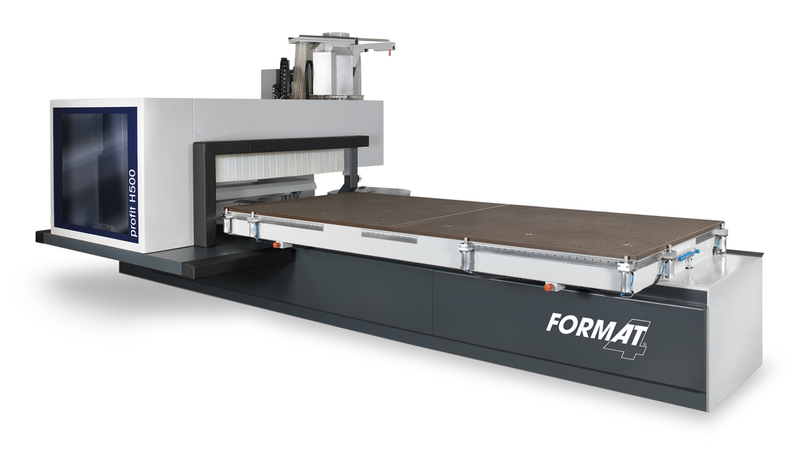 The machine is equipped with an aluminium table as standard, which allows individual mechanical clamping systems allowing any type of workpiece or template to be fixed to the machine. The in-house developed software with clear menu guidance and intuitive operating concept makes programming simple.